A large number of internet users accessing client websites put too much pressure on the origin servers. Each single file usually average 30MB to 5GB in size (with some large files more than 100GB), which could take the total file sizes to multiple petabytes. The process of synchronizing all files to Content Delivery Networks is time consuming. These type of websites usually contain hundreds of thousands of image files. The size of each single file generally ranges from 1KB to 10MB. Internet users are more sensitive to the loading time of these websites. 30% of desktop visitors tend to leave the page if it fails to load under 8 seconds, and mobile users are willing to wait no more than 10 seconds. For each second of latency, the conversion rate will drop approximately 7%. Client profile #3: Customers whose whole sites are hosted on the cloud, whose Internet Data Centers are interconnected to cloud providers, or who have the need to transfer data across different countries, often see their data being migrated between multiple cloud vendors. The complex process is costly and creates uncertainty. 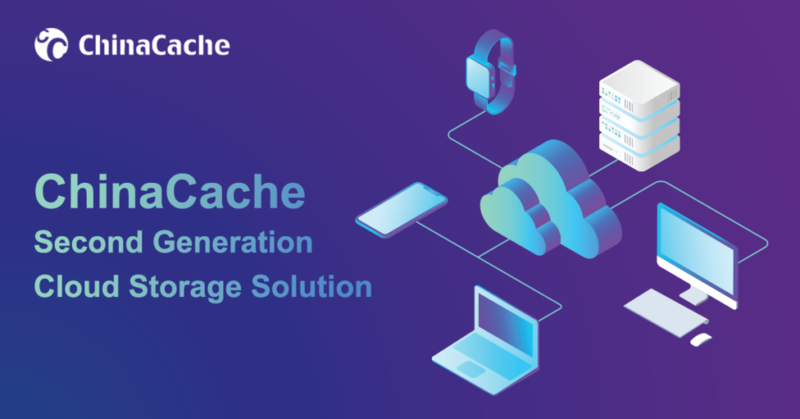 Clients using ChinaCache Cloud Storage can perform data migration by connecting to CHN-IX, ChinaCache’s Internet Exchange platform that is interconnected to many cloud providers, making data transfer between different cloud providers easy. To reduce clients’ costs associated with the migration, we recommend using the pull method, in which ChinaCache pulls the files on clients’ servers to Cloud Storage through a list of URLs accessible from public internet. The list can usually be obtained from clients’ content management system. In addition, ChinaCache Cloud Storage supports several other file uploading methods, including FTP, API, web management console, and AWS S3 API. 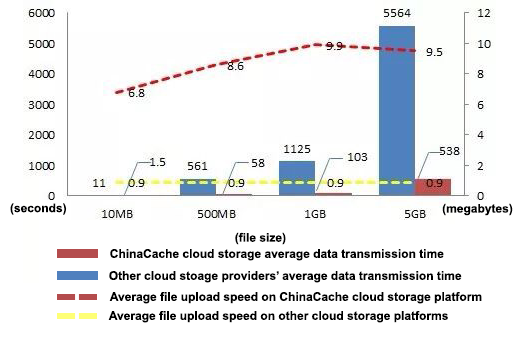 To avoid the bottleneck in long distance, trans-national data transfer, ChinaCache Cloud Storage is connected to overseas cloud exchange networks, which makes high speed and low latency upload possible for clients transferring files from outside of China. ChinaCache Cloud Storage supports multi-part upload and resuming upload from breakpoints to make large file transfer more effective. ChinaCache has partnered with Aspera to use its FASP® transport technology – a breakthrough transfer protocol that leverages existing WAN infrastructure and commodity hardware to achieve speeds that are hundreds of times faster than FTP and HTTP, and delivers end-to-end security, 100% reliability and exceptional bandwidth control. 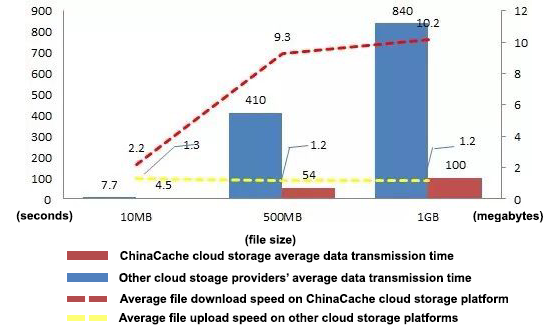 Comparing ChinaCache cloud storage platform with those of other providers’, uploading and downloading files on ChinaCache platform are much faster, and the time need to transfer different sizes of files is significantly lower than industry average. For more information on our cloud solution, please contact us.